Are refillable water fountains the solution to Hong Kong's growing plastic problem? Fate and curiosity—these two factors are what Ada Yip attributes to being where she is today. Coming from a successful career in banking, a random coffee encounter with an acquaintance led her down the path of social entrepreneurship, where she is now the CEO of Urban Spring. Urban Spring is a social start-up that’s fighting the seemingly never-ending battle against single-use plastics in Hong Kong, and they’ve been busy setting up drinking fountains across the city (at Hysan Place, HKUST and in the New Territories—find a Well# here). (Note: '#' in Cantonese is a pun for a well). These aren’t your usual dribbling drinking fountains, but high-tech watering stations that count (and show, on their LCD displays) exactly how many plastic bottles they’ve saved in their lifetimes. The caveat? You’ve got to BYOB, that is, bring your own bottle. In Hong Kong, people purchase an average of 1.5 million bottles of water per day, and nearly six out of seven end up being thrown in our landfills. It’s not that we necessarily want to buy bottled drinks, but without any options to fill up our own water bottles, we literally have no choice—hence, the need for refillable water fountains with clean and purified drinking water. Currently a free service, Ada has plans to turn Urban Spring into a user-paying model like in the US, where the urban fountain concept is already quite established. By working with shopping malls and office buildings, there’s real potential for it to become a bonafide business, especially for the ever-growing population of eco-conscious consumers. For now, the concept is still relatively unheard of in Asia, but Ada has plans to launch it in other cosmopolitan Asian cities. “Hong Kong is the worst with recycling,” she says, referring to the city’s double-digit growth in plastic bottle sales. Unlike Canada or Japan, which have very developed recycling programs and facilities, we still has a long way to go. The plastic bag levy in 2015 was a good move, but a plastic bottle charge has yet to be implemented like in more developed recycling countries. Besides overseeing the strategic development of Urban Spring, Ada is also an active speaker and consultant on sustainability, and a mentor for social enterprise associations in Hong Kong. 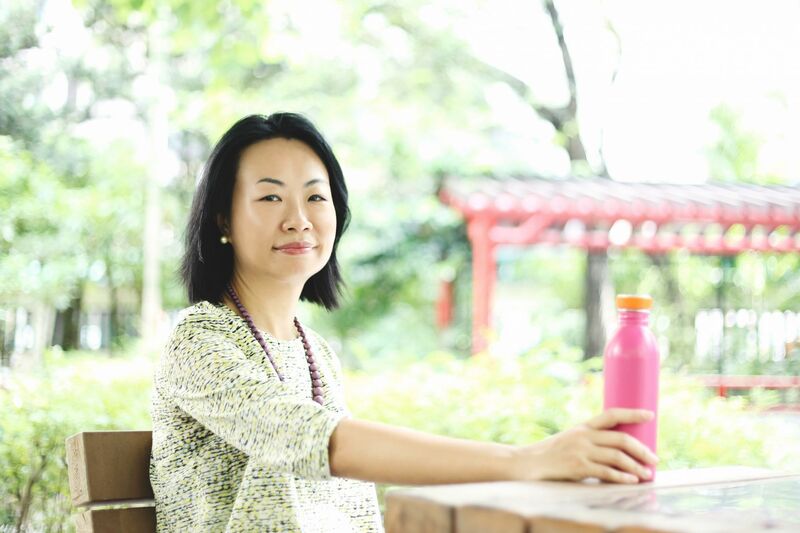 It’s clear that she’s serious about the cause, having taken a pledge against waste of all kind whether it’s plastic straws, coffee lids or even those ubiquitous packs of tissue paper that all Hong Kongers carry (instead, Ada carries a colourful, checked handkerchief). Are you a business owner or planning an outdoor event? Urban Spring can set up a Well# at your venue or location. Think music festivals, sporting events, and other large-scale events where plastic cups or bottles are usually found crushed all over the floor. Invest in a reusable bottle you love, fill it up and carry it with you, so that you’re not forced to buy yet another single-use plastic bottled drink. Plus, you’ll be able to refill it at all the Well#s around town. This one’s easy—tell as many people as you can about the refillable water stations by Urban Spring, so that they know there are other options out there besides having to buy more bottled water. As Urban Spring’s motto goes, “We care, we carry” and it’s time we all started caring.